March 23rd in Themes For Video Bloggers by Wordpress Jedi . Most vloggers I know got started with their journey in this area by focusing more on video sharing sites such as YouTube. That approach may work for a while. But you should not put all your eggs in one basket. Creating a website to showcase your best videos and promote your brand is a must. 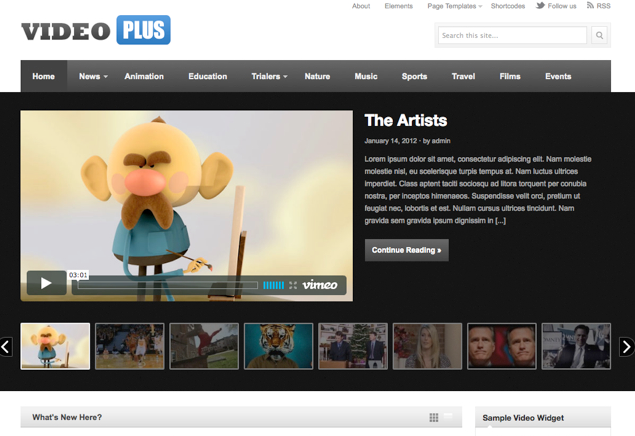 VideoPlus is an attractive WordPress theme that saves you time bringing your video blog online. VideoPlus has an attractive design. You can add videos from your favorite video site to the “Video Embed Code” section in the post editor. The theme provides support for custom thumbnails too. The VideoPlus theme may be used for vlogs, news sites, review portals, and magazines. It has a stylish video slider in the upper section. You get multiple page templates too (for archives, contact page, …). VideoPlus is highly customizable and has a powerful settings panel. 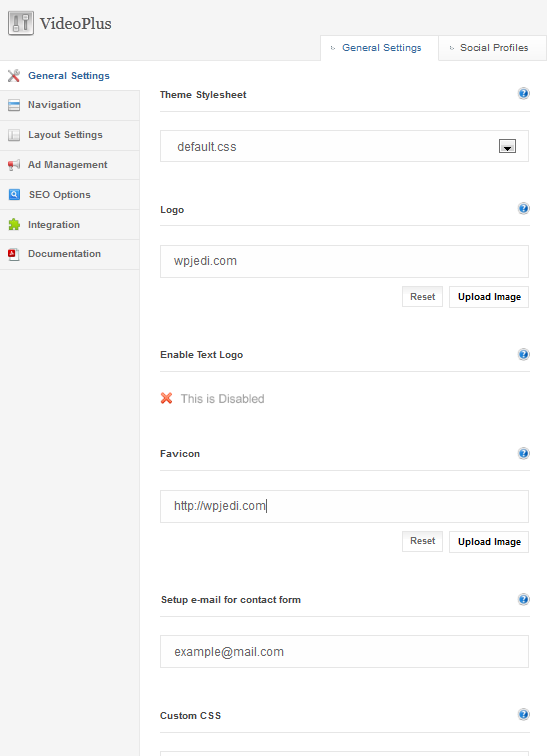 You can change the navigation, layout, ad, SEO settings in the backend. VideoPlus is ready to be localized and is social media friendly. Overall, this is a pretty cheap but attractive theme to put together a video portal with.